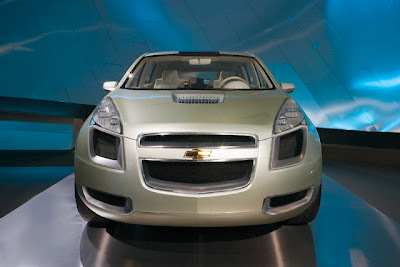 The Chevrolet Sequel Concept utilizes hydrogen fuel cells, lithium ion batteries charged via regenerative braking, drive-by-wire controls, and three electric motors to drive the wheels. 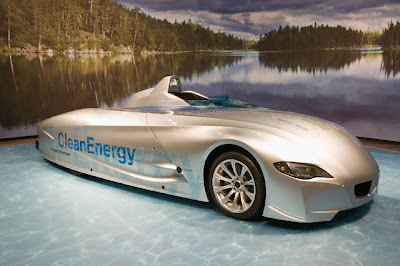 It travels up to 300 miles between fuel stops and its emissions consist only of water vapor. 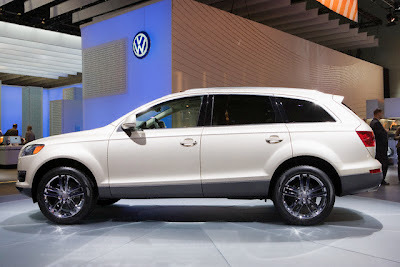 Audi's Q7 is a super-luxury performance SUV with a powerful 4.2-liter, 350 horsepower V-8 engine, 6-speed Tiptronic automatic transmission and the latest generation of quattro all-wheel drive. This is the latest model in the 911 series, and features a wider rear-body profile and permanent all-wheel-drive, ensuring safe and balanced handling no matter what the driving conditions. 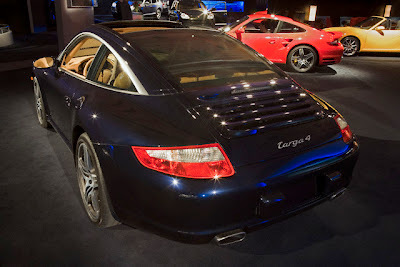 The Targa 4 achieves 0 to 60 mph times of 5.1 seconds with a top speed of 174 mph. Sports cars are different things to different people. 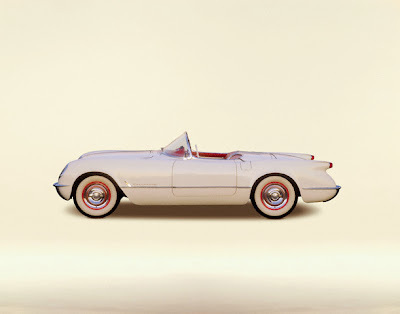 For Don Chaikin, the recently retired automotive editor of Popular Mechanics, if you look up "All-American sports car" in the dictionary, there's a picture of only one set of wheels. "To me, it's the Corvette," he says. 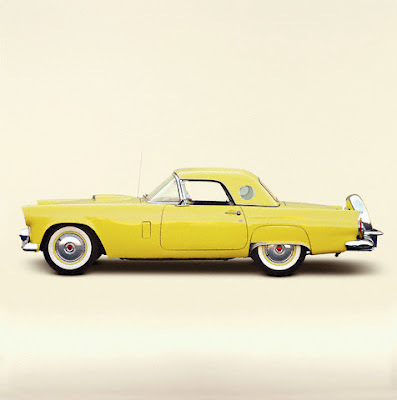 "The classic definition is, it's got to be front-engine, rear-wheel drive. It has to have a V8, and it has to have a true dual exhaust. 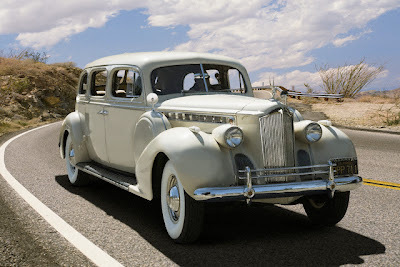 It has to have two doors and two seats, and it can't be a sports coupe." Another widely held and passionately defended definition of "sports car" is the tiny, affordable two-seat roadster. Like America the melting pot, this concept is a blend of different nationalities. 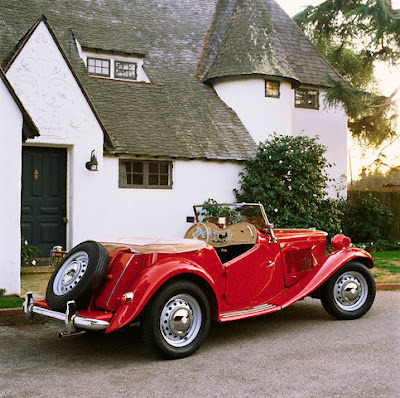 Its roots are in the post-World War II boom in tiny, lightweight, mostly British sports cars like MGs and Triumphs. They were finicky to start on a rainy day, not very practical and not even all that powerful. But when they ran, they were, and are, immense fun to drive. "In the old days, a sports car was thought of as an open two-seater that might not even have a top," says D. Randy Riggs, editor in chief of Vintage Motorsport magazine. "Or else it had a top that you had to spend an hour putting up and down." High costs and poor quality all but drove the British car industry out of business and into foreign ownership by the 1980s. A Japanese brand revived the British sports car concept in 1989, with the original Mazda Miata, now in a new generation. Compared with other sports cars, it's tiny and unpowered but undeniably fun to drive. American Adopters American models, on the other hand, have plenty of muscle. To make our list, a car had to be an American brand and built in North America (the Dodge Challenger will be built across the border in Canada). Such icons include the Pontiac Solstice, for the 2006 model year. 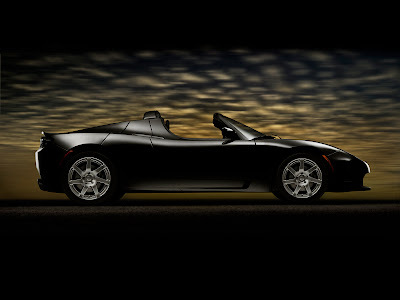 GM added the closely related Saturn Sky for 2007. The Ford Mustang is another All-American set of wheels, in between the bulked-up Corvette and the stripped-down Miata concept. But since the Mustang and its competitors have four seats, some purists consider them "sport-y cars," as opposed to sports cars per se. Automotive News, the auto industry trade magazine, lumps most of the cars on our list into the larger category of "sporty cars," which are then subdivided based on price. Consulting firm J.D. Power and Associates has a similar "sporty" category, which includes most of the cars on our list that are on sale. Some of our picks aren't on sale yet, so they're not categorized. However, Riggs points out that even classic Porsche 911s had folding jump seats for kids, and nobody would think of calling them anything but sports cars. Bottom line: The freedom of choice, the right to different opinions, and the blending of ideas and cultures from different countries doesn't apply to just the good old U.S.A. It applies to her sports cars as well. The latest experimental creation from Rolls-Royce, 101EX has been designed and built to investigate the stylistic and engineering requirements of a more dynamic Rolls-Royce. To this end the EX team has created a thrilling 21st century interpretation of the classic Grand Touring coupe. Once again its aluminium spaceframe is a modified version of that used in the Phantom, along with the familiar 6.75 litre, V12, 48 valve direct injection petrol engine. Shorter, and with a lowered roofline, the 101EX is a sleek, lithe, muscular machine, with tighter, more overtly sporting lines to emphasise it's high performance capability, while under the bonnet a black engine bay and specially finished black cam covers set a suitably distinctive tone. In contrast to production Rolls-Royce cars, which rely on predominantly alloy body panels, the 101EX's sleek lines are formed from special carbon-fibre composites. Once again, a pair of rear-hinged doors are used, and the waistline of the car is high, to emphasise the cocoon-like nature of the interior. Providing, intimate, opulent space for four, the 101EX features an extraordinary 'Starlight headliner', which employs fibre-optics to create the illusion of a star-filled night sky. The iconic Spirit of Ecstasy has also been the focus of attention. In place of the traditional nickel-plated steel mascot, the EX team fashioned it from a polycarbonate material. With a frosted finish and illuminated via fibre-optics, the 101EX's Spirit of Ecstasy is a fittingly spectacular figurehead for a truly extraordinary car. In the finest tradition of Rolls-Royce's experimental cars, the 101EX is the latest tantalising taste of what might be. They're going electric in the Motor City, Detroit -- well, maybe not just yet. 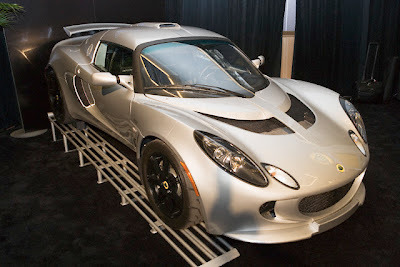 But it made for a nice "buzz" as the world auto industry gathered at one of its premier events, the North American International Auto Show, with gas-electric hybrids and even "plug-in" electric cars all the rage. It was almost enough to make one think, in the age of global warming worries and $60 per barrel oil, that the gasoline combustion engine was on the way out. Japanese auto giant Toyota Motor Corp, the leader in hybrids, said it expects to sell up to 300,000 of the environmentally friendly cars this year in the United States, up from 191,000 in 2006. 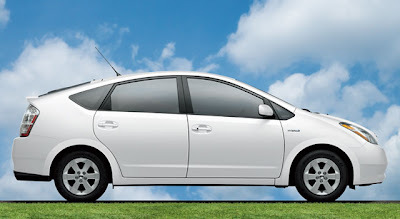 The models, mainly the wildly popular Prius but also now a few Camrys -- the top-selling car in America nine of the last 10 years --have only added to Toyota's luster with American consumers as the source of quality and innovation. The reputation reached a new high at the end of 2006, with Toyota's U.S vehicle sales passing Chrysler for the first time and knocking it out of the long-time Big Three -- General Motors, Ford and DaimlerChrysler's Chrysler Group. Toyota now expects to pass Ford in the U.S. sales this year and also General Motors in global sales, ending GM's reign of more than 80 years as the world's top carmaker. But GM may not be dead yet -- if electric shock treatments have anything to do with it. At the Detroit show, GM revived its once-failed idea of a mass-market electric car, unveiling a new "concept" car called the Volt designed to use little or no gasoline. 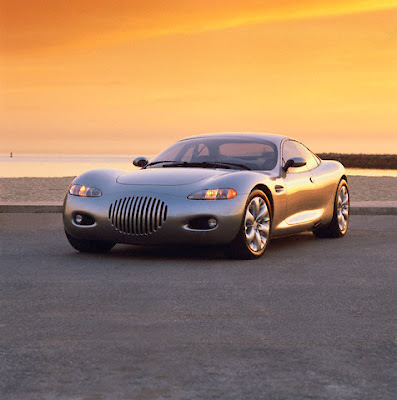 GM had killed an earlier model, the EV1, in 2003, drawing the ire of "greens" and brickbats in a 2006 film, "Who Killed the Electric Car?" But on Sunday GM executives said the Chevrolet Volt will draw power exclusively from a next-generation battery pack recharged by a small onboard engine -- if the technology is ready in two or three years. "We have a thoroughly studied concept," said Jon Lauckner, a GM vice president for product development. "It will create a buzz," said Mike Jackson, Chief Executive of AutoNation Inc., the largest public auto dealership group. "A thing like Volt shocks people who say 'I really didn't expect this from General Motors.'" Jackson said a product like Volt would also make consumers take a second look at other vehicles in GM's line-up. GM product chief Bob Lutz said critics would have to revise their thinking about GM's commitment to environmental concerns and U.S. dependence on oil imports after seeing the Volt. 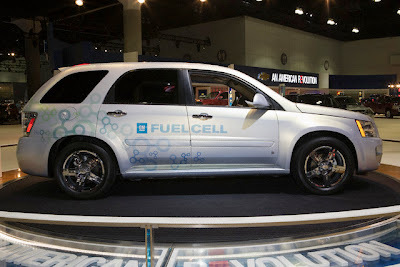 "An electric vehicle coming from General Motors, I am shocked, truly shocked," Lutz told reporters at the show. "The GM electric vehicle is an inconvenient truth," Lutz quipped, an allusion to former U.S. Vice President Al Gore's crusading film against global warming. "This is not a PR exercise or a pure show car," Lutz told reporters at the auto show. "This is a real program with real money behind it that is heading for production." Such optimism abounded at embattled GM on the first day of the show after a year when it survived daunting threats of bankruptcy, sliding market share, soaring costs and sharp outside pressure from a big-money shareholder. GM got an extra boost on Sunday when it swept the 2007 North American Car and Truck of the Year awards on Sunday, with top honors going to the new Aura produced by its Saturn division and the redesigned Chevrolet Silverado pickup. The Aura beat out the other two finalists for the car award, the Honda Fit and the Toyota Camry. The Silverado bested the Ford Edge and the Mazda CX-7. The sweep represents the first time in the award's 14-year history that a single U.S. automaker has won both awards. Last year, Japan's Honda Motors won both. But if hope springs eternal, reality awaits. "Domestic manufacturers continue to close the quality gap, although consumer perception has lagged this process," bond rating agency Fitch said in its 2007 autos outlook last month. "Outside of pickups, Ford, GM and Chrysler will continue to suffer from product mix imbalances as they remain overexposed to the mid-size and large SUV markets," Fitch said. "Demand in these segments continues to decline."